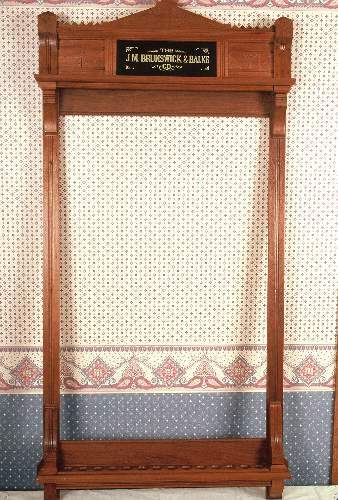 An 1870s all walnut Brunswick & Balke Co. cue rack, another very rare piece of billiard furniture. The crown is the original, but we did have to apply a new "correct" gold-stenciled monogram. Price: $4,000, plus packing, shipping, and ins.